Fellowes - DoubleTake Design, Inc. Founded on a culture of continuous improvement, Fellowes Brands strives to deliver best-in-class quality and performance in records storage solutions, business machines, workspace management products, air purification and mobile technology accessories. With a commitment to bring value to the workplace from the corporate office to the home office, Fellowes Brands introduces new ideas that evolve to meet the needs of an ever-changing world. Partnering with Golin, an integrated agency with PR, digital and content at its core, we have produced many different infographics over the years for Fellowes. The goal for this project was to develop an easy-to-follow, visually appealing infographic to help identify the right shredder to fit a homeowner’s needs, while highlighting key product technologies and features. Golin wanted the design of this infographic to be trendy/mom friendly with current fonts and design styles that would draw the target audience in, while still following the typical Fellowes color scheme. We selected fun colors to compliment Fellowes’ yellow and black and treated the shredded paper like confetti. Key areas of focus for homeowners selecting shredders are volume (how much they shred), versatility (what they shred other than paper), safety (Fellowes’ SafeSense or Safety Lock features) and jam prevention (Fellowes’ Jam Blocker vs. Jam Proof features). This infographic followed the structure of the above home infographic in terms of layout; but instead of bright fun colors, the goal was to present the information in a more professional and business-like style. 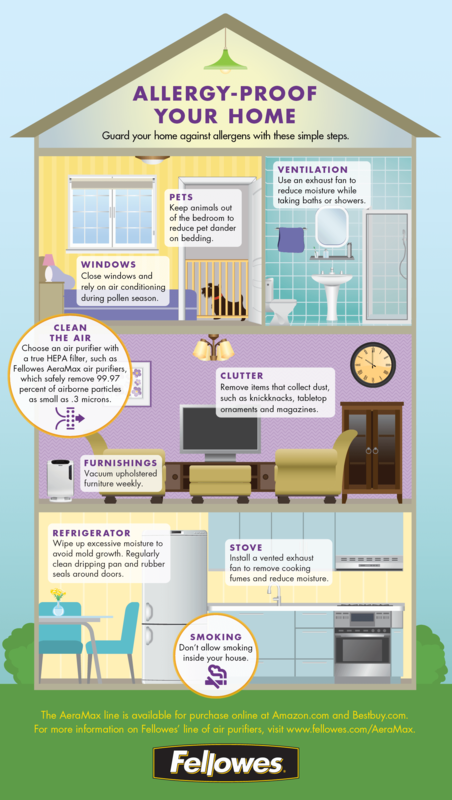 This infographic was created to share the benefits of using an air purifier during allergy and asthma season to allergy-proof your home and was featured on EmpowHER, an influential online health community. 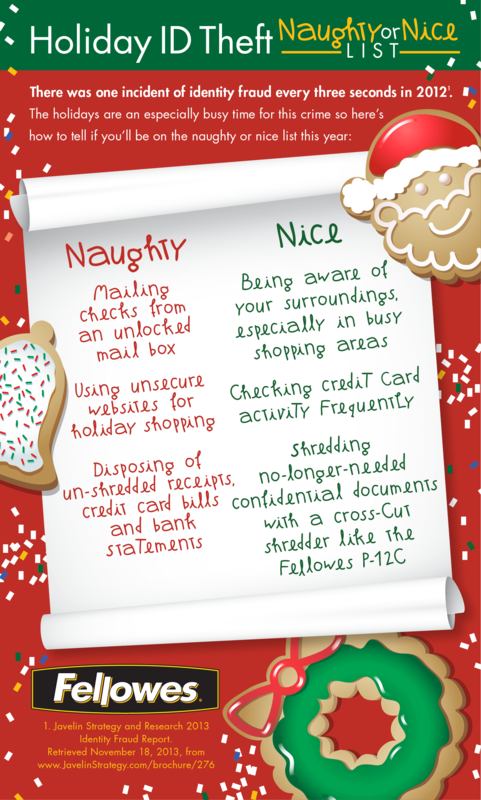 This simple infographic was used as an asset in blogger outreach — a naughty or nice list like Santa’s that pitched shredders as a way to combat identity theft. Want to influence buying decisions with compelling infographics?